The fight for netbook-market shares goes on. It might be that every renowned notebook manufacturer has, in the meantime, brought one or even more netbook models onto the market but the demand for mini-notebooks doesn't appear to come to a stop. One model is followed by the next. 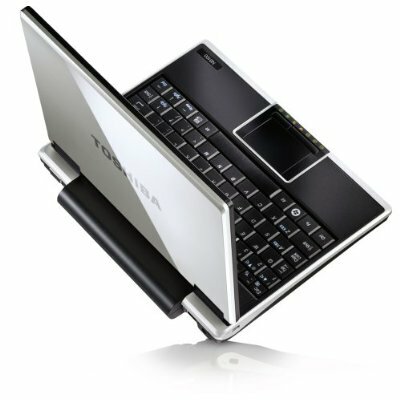 If Toshiba's NB-100 can stand out from the broad mass of netbooks and presents an enrichment for the already very big netbook range or rather goes with the flow, is unveiled in this test report. But for a few exceptions, most current netbooks are very similar in respect to their hardware configuration. Just as well the Toshiba NB-100. The mainspring of the NB-100 is an Intel Atom N270 processor with a 1.6 GHz clock rate and a gigabyte DDR2 RAM. 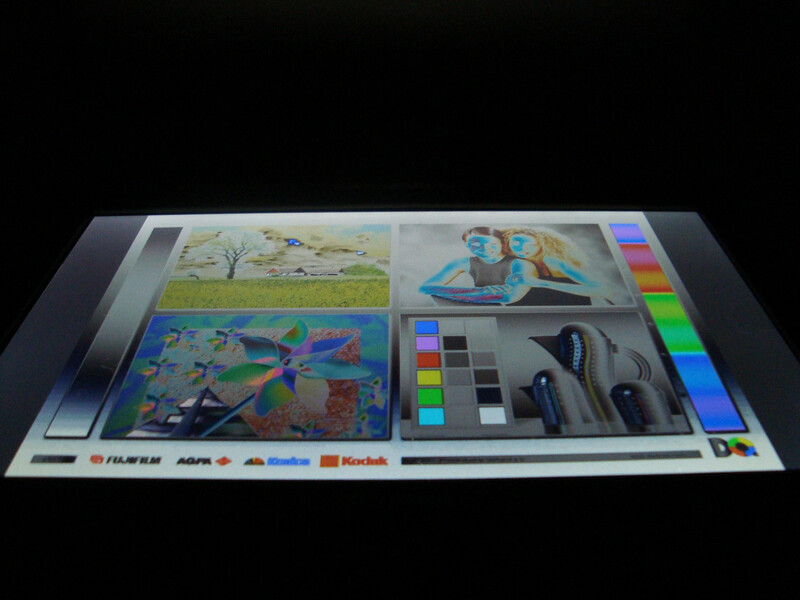 An onboard graphic solution from Intel, the GMA 950, which is responsible for the graphic presentation on the 8.9 inch sized and reflective WSVGA display, comes with the team. 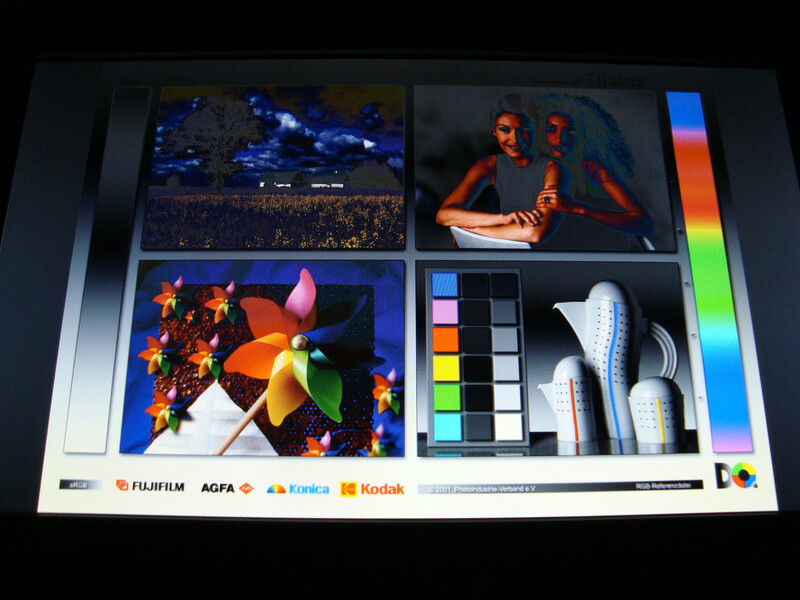 The TFT screen's maximum resolution lies at 1024x600 pixels. So much to the basic data of the mini-notebook. 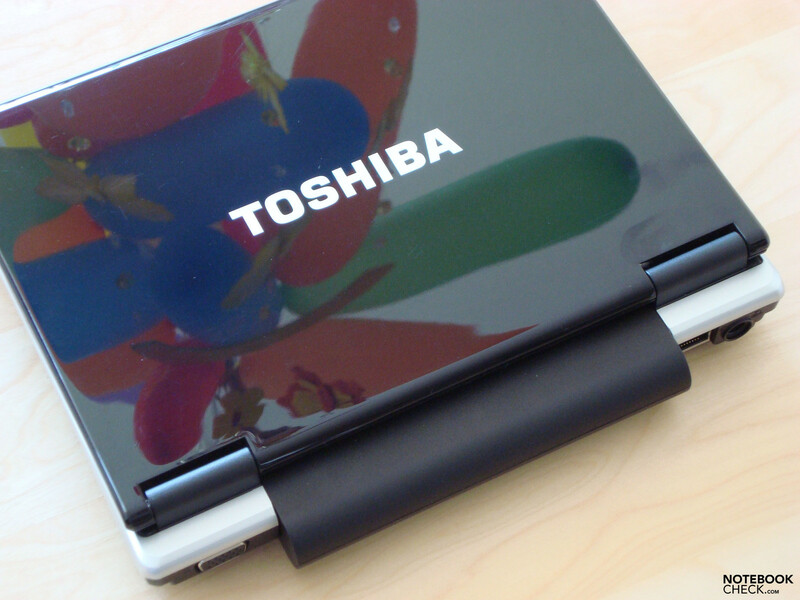 Let's get to the case of the Toshiba NB-100, which is made completely out of plastic. The back side of the display lid has undergone a black high-gloss treatment, which bestows the NB-100 with a noble and elegant finesse. But the mini-notebook's lid also becomes more susceptive for fingerprints and smudge. The surface in the area of the wrist rests, and also above the keyboard has been roughened, whereas the touchpad, just as well as the two different sized mouse keys have a smooth surface. Optically, the Toshiba NB-100 makes a somewhat plump impression, probably also due to the protruding battery, even if this isn't the case in regards to its dimensions. With a weight of a bit over one kilo (1.05 kg), our test candidate can be taken along everywhere, if you have a suitable transportation case, of course. 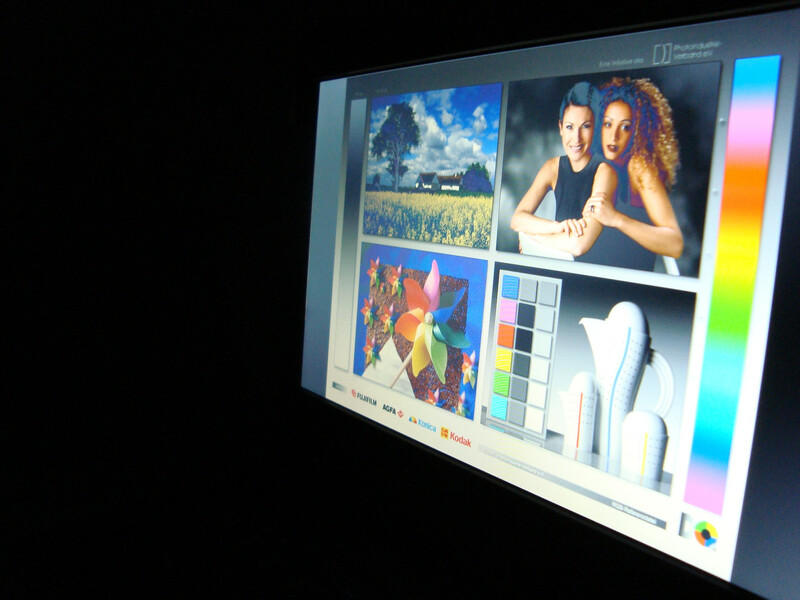 According to the manufacturer's homepage, the NB-100 is available in two color variations, the classic design of black and gray, or silver, which the manufacturer Toshiba calls Cosmos-Black and Brighter Silver, respectively. In regards to the case's stability there is barely anything to be criticized. The employed plastic is sturdy enough to put away point pressure in the wrist rest areas with a minimal deformation not worth mentioning. The weakest point is again, like in most devices with a plastic case, the display back side, which does give in considerably at pressure. Otherwise the case shows only little weaknesses. The two hinges also make a good impression, giving the 8.9 inch WSVGA screen a good hold at minor luffing. A squeaking or squealing noise can't be educed from the NB-100 at opening or closing. Moreover, the display lid closes quite well and also does fine without a locking mechanism. Merely the two phone jacks for the microphone and the headphones are found on the front. The right side has the 4-in-1 cardreader (supports SD cards up to 16 GB, memory sticks up to 256 MB, Memory Stick Pro up to 2 GB and multimedia cards up to 2 GB), the slot for heat dissipation, followed by two USB 2.0 interfaces. The analog VGA-out (maximum external resolution: 2048x1536), the battery, the LAN socket and the socket for the power supply are found on the back side. 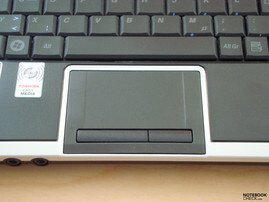 The left side accommodates only the connection for a Kensington lock and a further USB 2.0 port, with which the Toshiba NB-100 netbook has a whole of three USB ports with a sleep-and-charge function. This means, devices such as MP3 players, mobile phones or the like can be charged without the need of the netbook being activated – naturally only if these devices can be charged via USB. 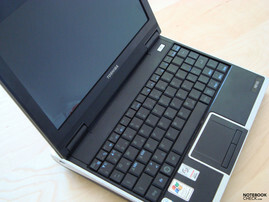 Furthermore the NB-100 has, like many other modern netbooks and notebooks, an integrated webcam with a microphone included for audiovisual communication. As for the communication possibilities with which the NB-100 comes up with, our test-netbook is aptly equipped for everyday life. 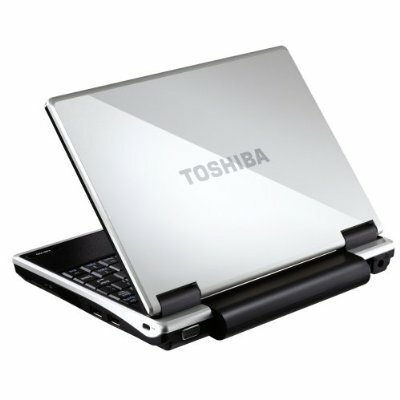 Aside from WLAN (supported standards: 802.11 b/g) and Bluetooth 2.1 + EDR (only in models with Windows XP), Toshiba's mini-notebook also has a mobile broadband WWAN/3G (only the model NB100-12N, HSDPA 7.2Mbps / HSUPA 2Mbps), which makes it possible to surf in the internet almost everywhere in the world with our test device - with an adequate reception and a respective contract, of course. An "in-house produced" 120 GB sized hard disk with 5400 rotation per minute (Toshiba MK1252GSX, 120 GB, 5400 RPM, SATA-II) is employed as the mass storage device in the NB-100. 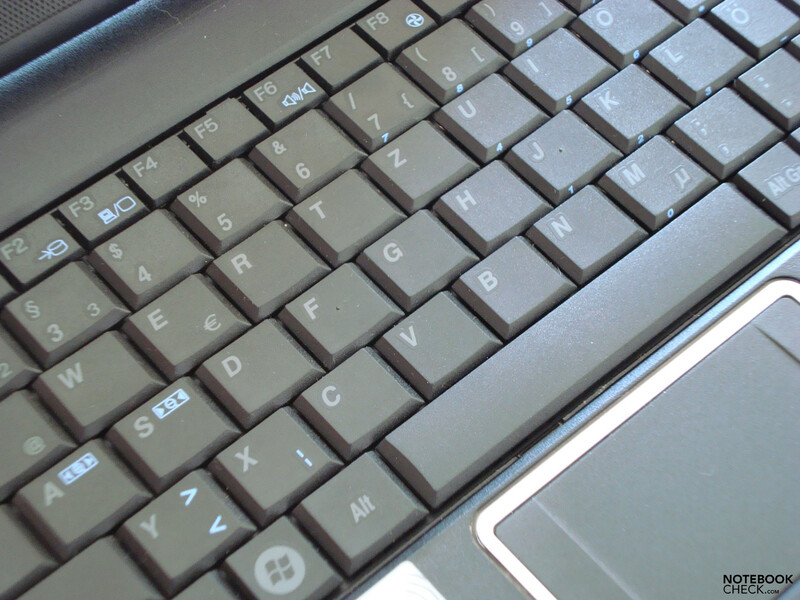 The NB-100's keyboard keys, as it is unfortunately common in most netbooks, turn out rather small, so that users who haven't been blessed with fairly slim fingers, will likely have their difficulties at typing to not hit the key beside it. This flaw applies to most netbooks in this size category and should therefore not be of consequence. Besides this, we can't report anything negative about the built-in keyboard. 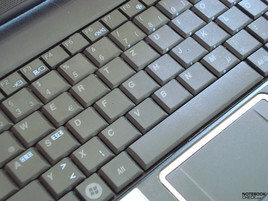 The NB-100 has a full keyboard, naturally without a numerical block. All keys are in the right place and the type-feel can convince us, too. The pressure point in the built-in keys is very palpable. There isn't anything negative to report about the mouse substitute, either. 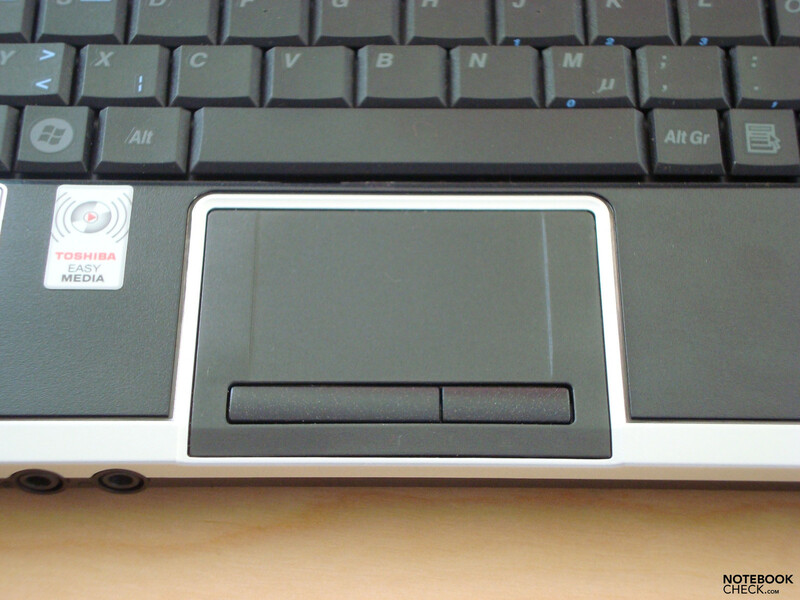 The touchpad just as well as the two mouse keys do their job well and react - just as it should appropriately be for our input – without delays, whereas the left mouse key is slightly longer than the right one due to production. The NB-100 has an 8.9 inch sized WSVGA display with a reflective surface. 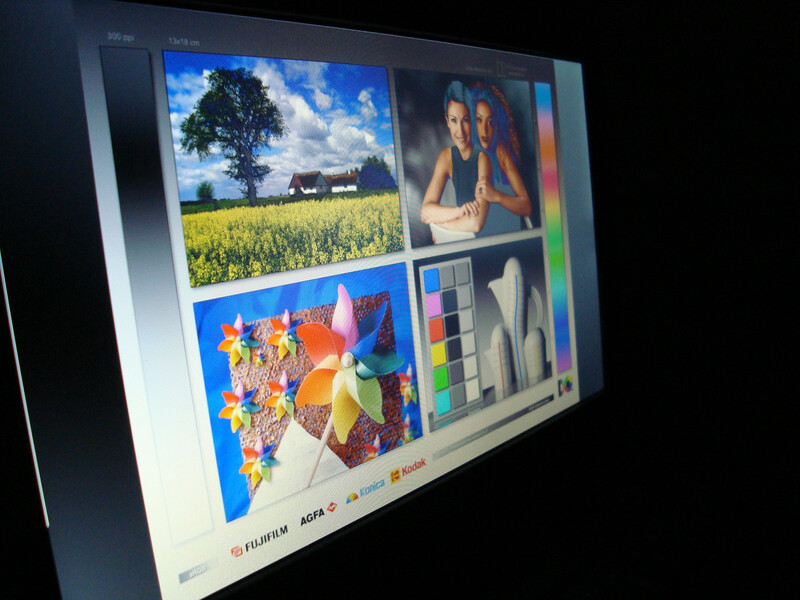 This is capable of presenting a clear and sharp image with a maximum of 1024x600 pixels. 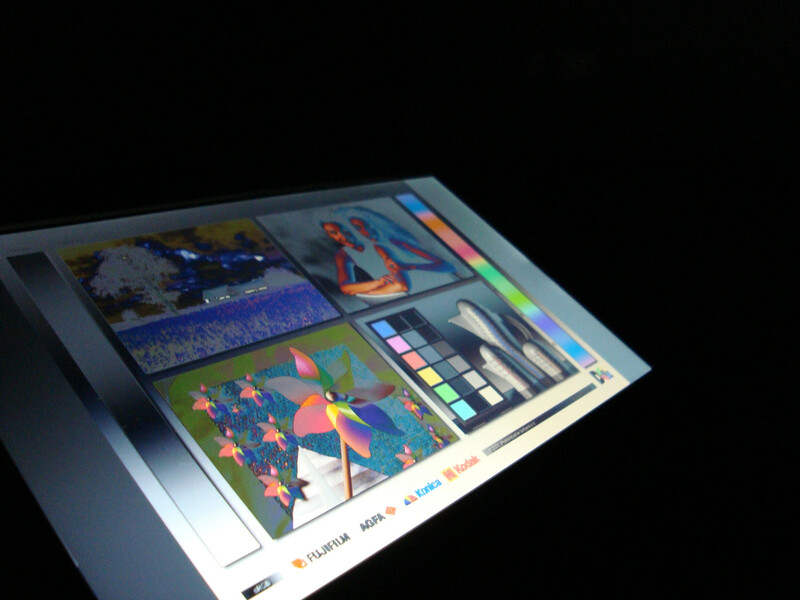 The colors can be described as subjectively saturated and vibrant, and can therefore convince, which we relate to the reflective Toshiba TruBrite WSVGA TFT display with an LED background light. Unfortunately, the combination of the glare display and the merely mediocre display brightness makes the NB-100 rather unsuitable for outdoor missions. Even if you can recognize the display content when sitting on the balcony in the shade, reflections do prevail considerably. At the latest, working with the NB-100 in the blazing sun is only possible with difficulty and stresses the eyes massively. We measured brightness values range from a minimum of 153.8 cd/m2 in the upper right corner to a maximum, but still rather average, 180.3 cd/m2 in the display's center. The illumination doesn't turn out quite as homogeneous as we would have wished. Especially the values of the upper display strip decrease obviously. The device doesn't exactly show itself from its courteous side in regards to the viewing angle stability. Already at slight deviations of the sitting position, and hence the sitting height, color falsifications and dimming on the display turn up. It looks equally so, but not as intense, on the horizontal level. 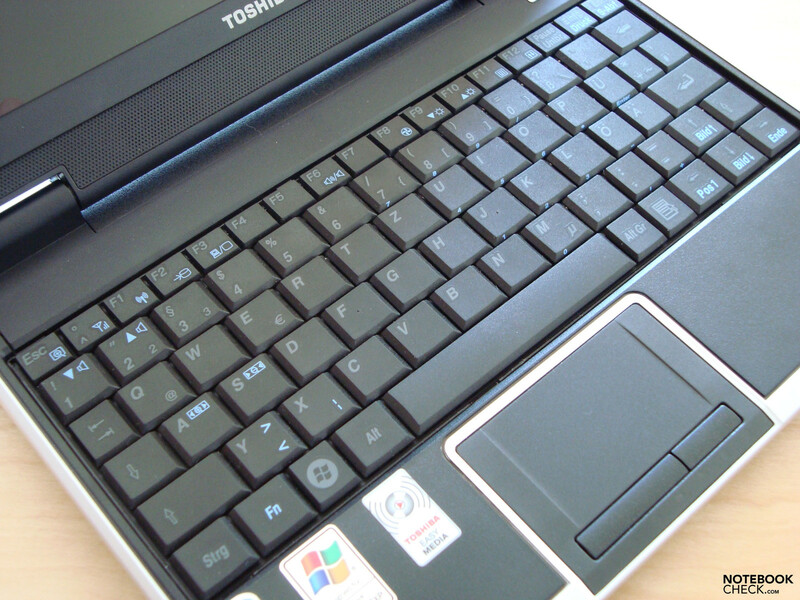 Unclear for us is why the manufacturer Toshiba builds a glossy display into their NB-100 netbook, which most obvious strength, due to its light weight and the practical size, certainly lies in mobility and therefore will most probably be used outdoors. 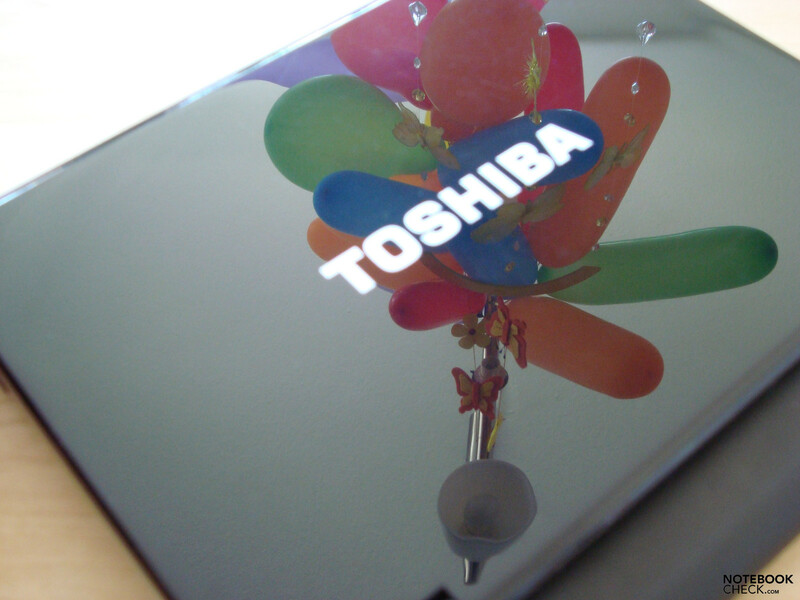 Let's now look at the performance of Toshiba's NB-100. Even if this isn't the chief aspect of a netbook, the device should ensure a minimum of computing performance, in order to work reasonably with it. In view of the built-in hardware we assume strongly that the performance of our test candidate will fluctuate only minimally from other netbooks with almost similar hardware from other manufacturers. 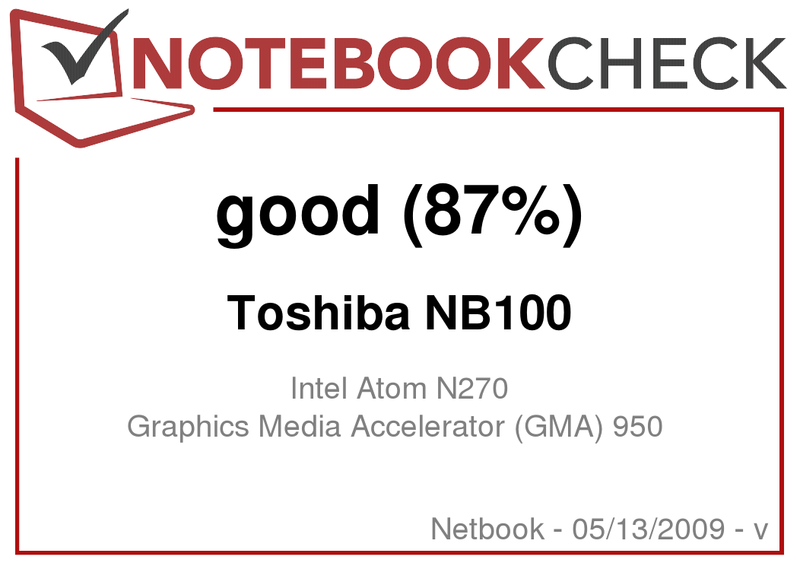 Like the broad mass of netbooks currently on the market, the Toshiba NB-100 has an Atom N270 processor (1.60GHz, 512KB L2 cache, 533MHz FSB) from Intel with a fitting chip set, including an onboard graphic solution of the type Mobile Intel GMA 950, which sidetracks the necessary storage from the main memory when required. At the benchmark run-throughs with the out-dated 3DMark2001 and 3DMark03, the results turned out, more or less, as we had awaited. 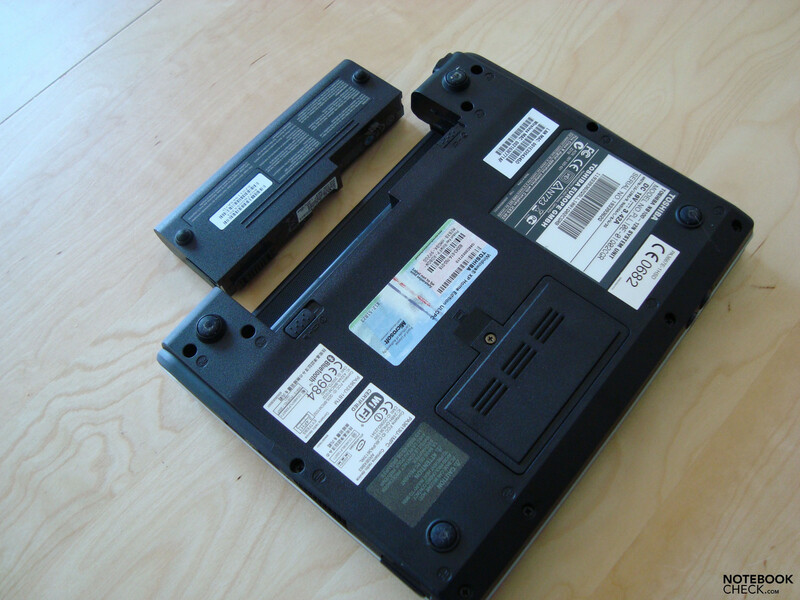 With 2791 and 692 points the NB-100 places itself in the same performance category as netbooks from other manufacturers, for instance the recently tested HP Mini 2140 Netbook, the Acer Aspire One AOA110/A110 Netbook, or even the top dogs among netbooks, the Samsung NC10, and the Asus Eee PC 1002HA. The PCMark05 result of 185 points additionally underlines this, too. 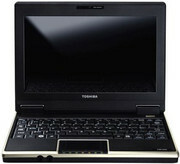 Note: Toshiba delivers the NB-100, regardless of the color, in two different versions. Once, with the well-proven operating system Windows XP from Microsoft and once with an Ubuntu remix as the OS. These netbooks are only equipped with 512 MB and an 80 GB HDD, instead of the 1024 MB RAM as the Windows netbooks have. You also have to do without the Bluetooth 2.1 + EDR adapter and the UMTS module. For that, the Ubuntu version is a good 100.00 Euros cheaper than the NB-100-12H with the Windows XP Home Edition, one GB RAM, 120 GB HDD, Bluetooth and UMTS. The SATA II 120 GB hard disk of our test device works with 5400 rounds per minute. The data transfer rates seem to be alright according to HDTune. Merely the access noise is somewhat disturbing in the beginning, but weren't noticed by us anymore after a while. The NB-100 can very-well be described as a very quiet device in respect to noise. The mini-notebook keeps fairly cool not only in idle mode, but also under load. 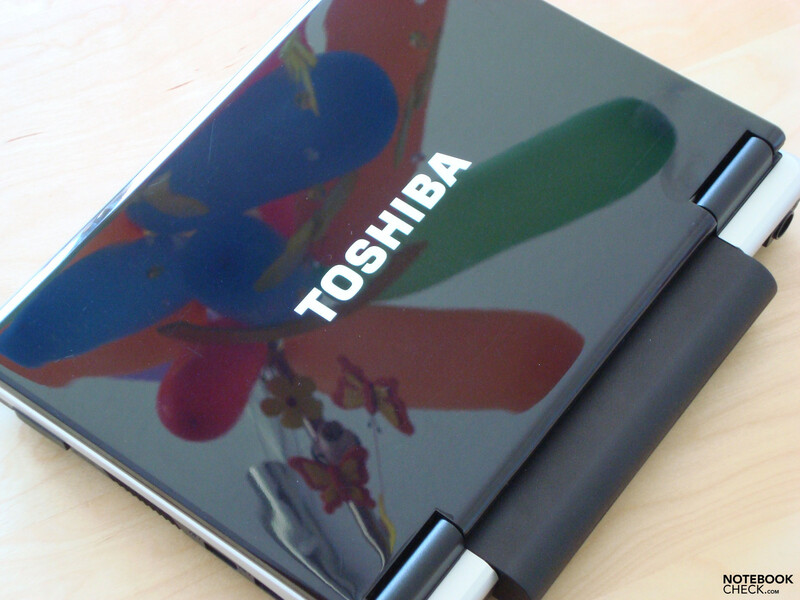 The netbook from Toshiba is barely to be heard with an average of 31.4 dB(A). Our instruments sometimes lashed out up to 35 dB(A) but this can be linked to accessing of the built-in hard disk. The fan is barely audible even under load. 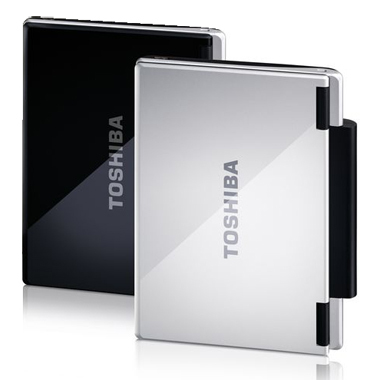 The Toshiba NB-100 stays a silent companion even in heated situations with an increase of up to a maximum of 33.4 dB(A) and therefore very much within a limit. The measured surface temperatures also speak for the NB-100. The highest temperature of 32.6 degrees Celsius, which we established in the right wrist rest area, is barely noticeable at working on Toshiba's netbook. The temperatures on the NB-100's bottom side are somewhat higher, though. Particularly on the right side of the center area we could measure an uppermost temperature of approx. 35.4 degrees Celsius, which can at best be called lukewarm. Hence, working on the lap is still possible without discomfort. (+) The average temperature for the upper side under maximal load is 29.8 °C / 86 F, compared to the average of 29.8 °C / 86 F for the devices in the class Netbook. (+) The maximum temperature on the upper side is 32.6 °C / 91 F, compared to the average of 33 °C / 91 F, ranging from 21.6 to 53.2 °C for the class Netbook. (-) The average temperature of the palmrest area of similar devices was 29.3 °C / 84.7 F (-3.3 °C / -6 F). The loudspeakers of the NB-100 are built-in directly under the display. 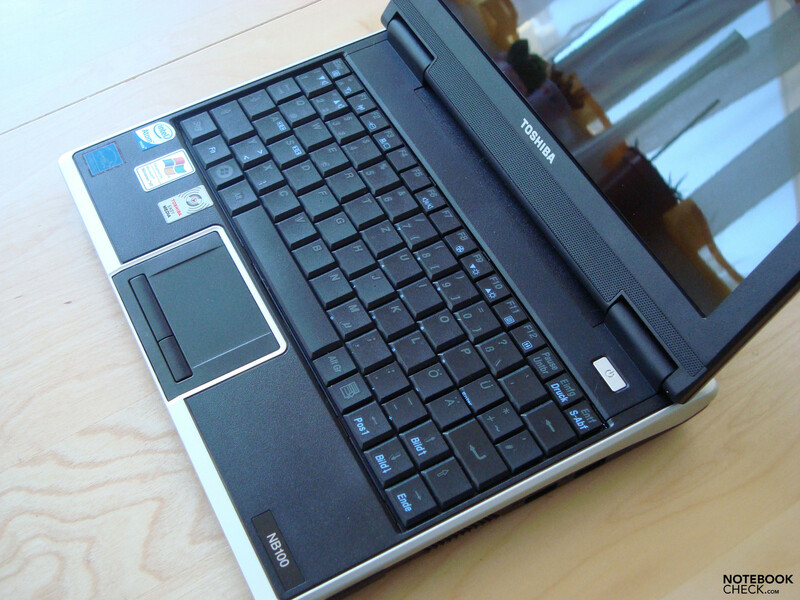 Unfortunately, high-quality loudspeakers from Harman Kardon weren't installed into the mini-notebook, as it is the case in many of Toshiba's notebooks. The sound given of the NB-100 stands out neither positively nor negatively from the broad mass of netbooks of other manufacturers. The sounds are clean and clear, and the speakers don't start to hum even at maximum output due to overriding. In our opinion, the maximum volume turned out a bit too weak, just like the bass. The NB-100 is equipped with a battery that has a capacity of merely 38 Wh (5200 mAh, 7.2V). The included battery pack's mobile runtime has a maximum of 218 minutes (3 hours, 38 minutes) in the BatteryEater Reader's test at minimum display brightness, maximum energy savings mode and deactivated WLAN in idle mode. Even if this isn't a bad result, we did expect a bit more. 138 minutes, equivalent to 2 hours, 18 minutes, is possible under load in the BatteryEater Classic (full-load, everything on, maximum brightness), with which the Toshiba NB-100 doesn't particularly stand out. In practical WLAN mode, at maximum display brightness, the mini-notebook endures 176 minutes without a power socket. In view of the already protruding battery, we would have expected slightly more in regards to the battery life. Let's summarize. The NB-100 is light, handy and also robust and well-manufactured. As to looks, it might not belong to our favorites, but it is known that there's no accounting for taste. The display is as before a thorn in our side, though. 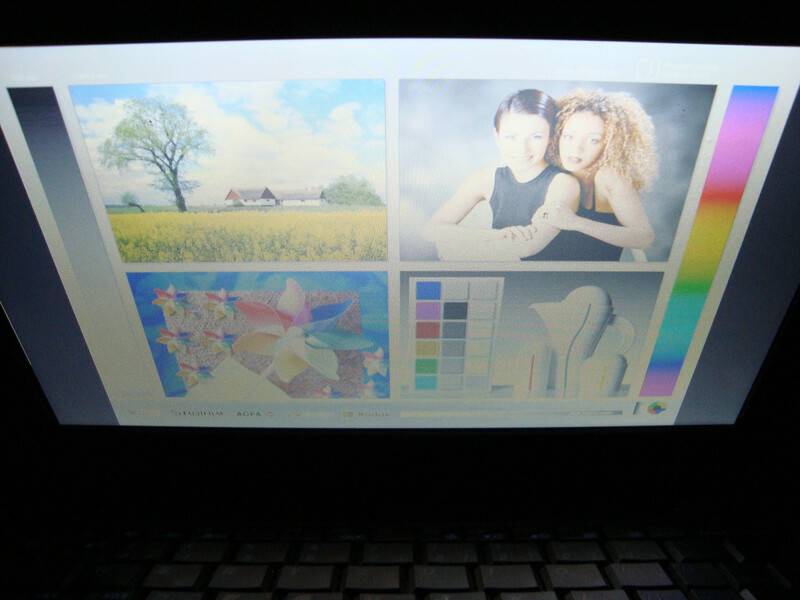 How you can build a glossy display into a netbook, which strength is mobility – so that you can practically take it everywhere and use it – remains a mystery to us. Exemplary is the clean workmanship and the generous configuration of communication possibilities of the NB-100, with which the mini-notebook can score by us. Aside from LAN and WLAN, the NB-100 additionally has Bluetooth 2.1 and a 3G capable UMTS module. You really can't complain about this, even if the UMTS variant of the NB-100 costs a proud 499.00 Euros, according to the manufacturer's homepage. 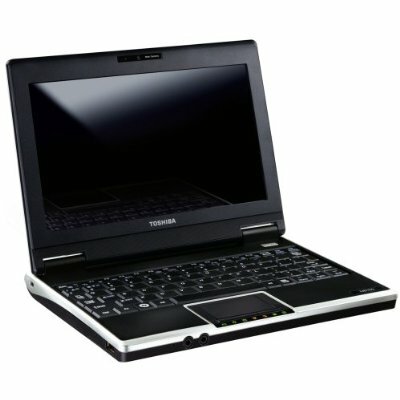 The NB-100 from Toshiba is generally a downright solid netbook, but doesn't distinguish itself from the meanwhile rather broad mass of mini-notebooks. A bit more courage for innovations or in view of design and appearance wouldn't have hurt the NB-100 at all in order to ultimately bring a breath of fresh air into the netbook market again. Aside from the color option of Cosmos Black and Brighter Silver, Toshiba offers the NB-100 in two versions. …also Bluetooth 2.1 + EDR and a 3G capable UMTS module. An equally discussable point would certainly be the glossy display, with which the usability and flexibility of the netbook is considerably limited. The NB-100 appears to be bulkier than it really is, through this. The protruding battery won't oblige to everyone, though. …whereas the optical outfit with the display lid in a high-gloss finish is very well-done. Depending on the configuration, the NB-100 is available up to 100.00 Euros less with Ubuntu as an operating system. That Toshiba also offers a Linux version for the NB-100. Even though we don't like that the configuration has to suffer because of this. Why not Ubuntu with Bluetooth and UMTS? A bit more battery runtime. A protruding battery rouses high expectations in regards to the NB-100's staying power. In this case, the phrase that "size does not matter!" applies. Netbooks are defined as being small, light and mobile so that you can take them everywhere. Well, almost everywhere. What's the glare display doing here? The competition on the netbook market is big. Especially the serving top dogs among the netbooks, the Samsung NC10, and the Asus Eee PC 1002HATest Asus Eee PC 1002HA Mini-Notebook, are going to give the NB-100 a hard time.